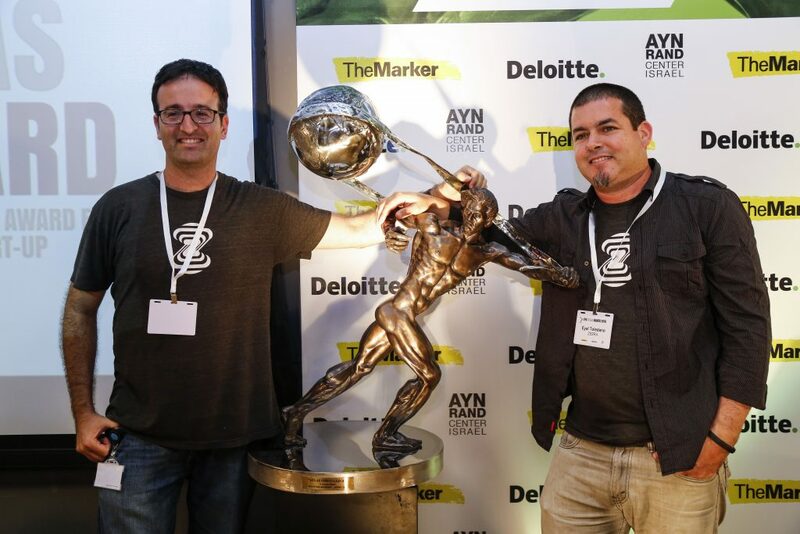 2018 marks the third year in which the Israeli Atlas Award event will be held in cooperation with the Ayn Rand Center, TheMarker and such leading partners as, BDI, IVC, Bank Hapoalim and Israel Aerospace Industries. The prize will be granted to the Israeli start-up company which has created a technology, idea or product of exceptional value in Israel and worldwide over the past year. These candidates will then make presentations before a jury panel which will select the winning company to be granted the Atlas Award. The Award: The Atlas Award is a sculpture by internationally-renowned sculptor Richard Minns. The sculpture is an unparalleled portrayal of the mythological Atlas who hoists the world, paying homage to extraordinary achievements. 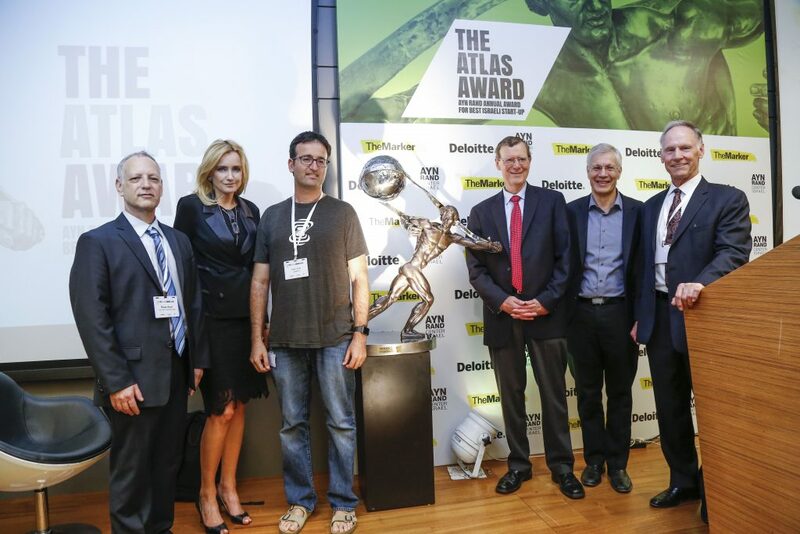 The Israeli Atlas Award was designed to raise public awareness to the aspiration for productivity, pioneering, and prosperity while saluting the leading Israeli start-up company of 2018. The sculpture is an exclusive replica of the original, whose market price stands at nearly $100,000. 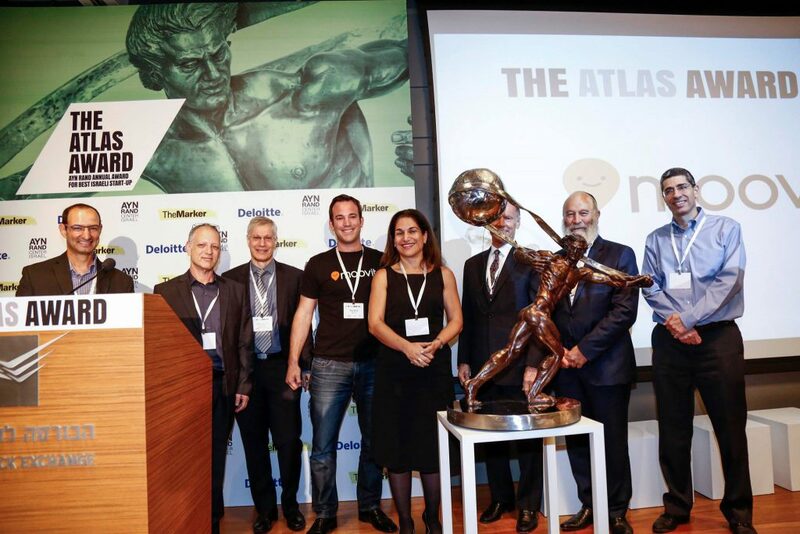 A jury panel comprised of professionals will select the winning candidate for the 2018 Atlas Award for the Best Israeli Start-Up. Registration of companies and selection of candidates to advance to the next stage. 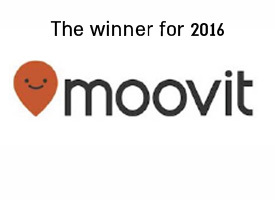 At this stage, the Finalists will be named. These companies will be deliberated, evaluated, and invited to appear before the jury panel. Selection of those companies who will compete in each category of the Finals, and the naming of the First Place winner. 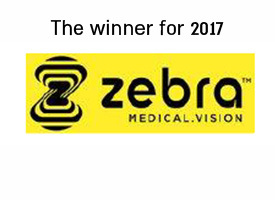 The award is designed to raise public awareness and express appreciation to the start-up with the most outstanding technology, idea or product that creates exceptional value in Israel and around the globe, breaking boundaries and increasing prosperity, especially within the State of Israel. The winning company chosen by jury is granted a full-sized replica of a bronze sculpture of Atlas brandishing the world. The original sculpture, created by internationally-renowned sculptor Richard Minns, has a market value of 100,000 USD. 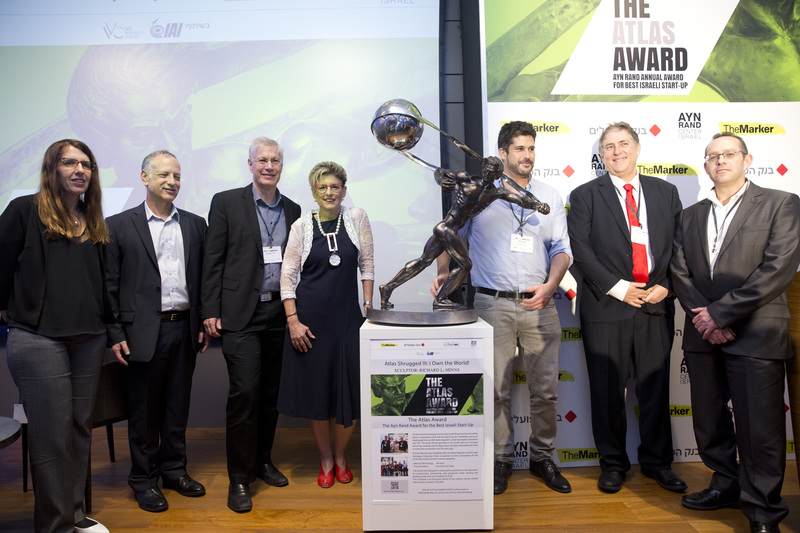 The award is presented at a prestigious ceremony held at the Israeli Stock Exchange and attended by leaders from all sectors of the Israeli business world. On a per capita basis, this young nation of 8,323,248 leads the world in entrepreneurship, start-ups, innovation and technology. Israel has more companies on NASDAQ than any other nation except the USA. Israel leads the world in the number of researchers per capita; it ranks second in research and development, and third in high-tech density. In world rankings, the Start-Up Nation stands at No. 10, after the USA and BEFORE Ireland, China and the U.K. Israel is Number One in the World in technology start-ups per capita, with over 4,000 active start-ups. Homegrown start-ups are now Israel’s top export, representing over 10% of the growing Israeli workforce, and the economic engine which drives Israel. ATLAS AWARD 2018 EVENTS: Wednesday 23 May. 6:00 P.M. – 9:00 P.M. 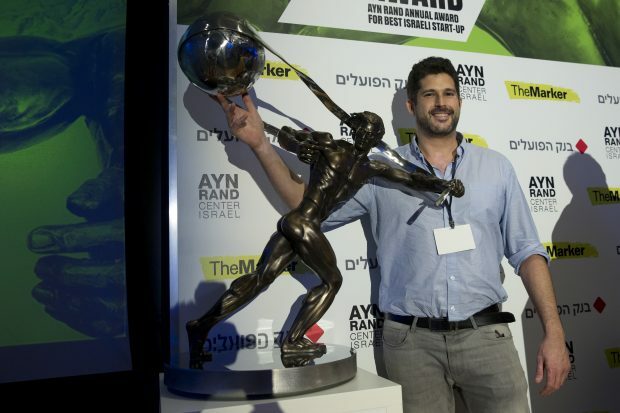 The Third Annual Ayn Rand Atlas Award Ceremony, announcing the Winner of the 2018 Best Israeli Start-Up. Cocktails & hors d’oeuvres. By invitation only. Attended by prominent leaders of Israel’s business/entrepreneurial/start-up communities. The Award Ceremony will be followed by a private invitation-only V.I.P. Dinner in honor of visiting guests from USA, UK, and Europe. 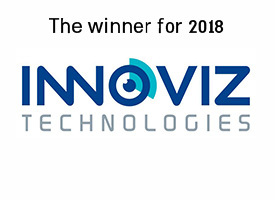 The overall winner for 2018 is Innoviz.